This image released by Warner Bros. Pictures shows Fionn Whitehead in a scene from "Dunkirk." It's victory for "Dunkirk" at the box office this weekend. 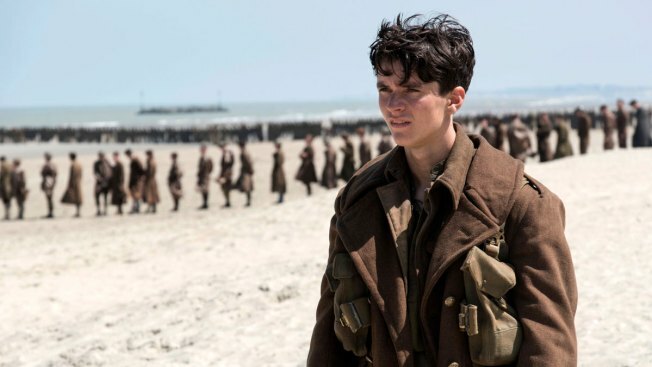 Studios on Sunday say the Christopher Nolan World War II epic earned an estimated $50.5 million to top the charts, with $11.7 million of that coming from IMAX screens. The well-reviewed Regina Hall, Queen Latifah, Tiffany Haddish and Jada Pinkett Smith comedy "Girls Trip" also beat expectations, taking second place with $30.4 million. Audiences were 79 percent female and gave the film a coveted A+ CinemaScore. Not so successful was Luc Besson's $180 million sci-fi epic "Valerian and the City of a Thousand Planets," which earned $17 million from North American theaters over the weekend. Exposure was limited, however. Besson's production company EuropaCorp says 90 percent of the budget was already covered by foreign pre-sales, equity financing and tax subsidies.